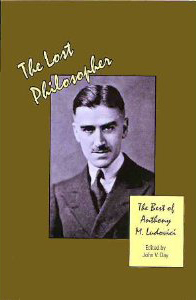 Anthony Mario Ludovici (1882-1971) was one of Britain’s most celebrated intellectuals in the first decades of the twentieth century. One of the first and most accomplished translators of Nietzsche into English and a leading exponent of Nietzsche’s thought, Ludovici was also an original philosopher in his own right. Without a graduate degree or university professorship (indeed, without any need of them), Ludovici went over the heads of academia and directly addressed the educated public, supporting himself entirely by his writings. In nearly forty books, including eight novels, and dozens of shorter works, Ludovici set forth his views on metaphysics, religion, ethics, politics, economics, the sexes, health, eugenics, art, modern culture, and current events with a clarity, wit, and fearless honesty that made him famous. After World War II, however, Ludovici fell rapidly into obscurity. Why? Because Ludovici was a passionate, principled defender of aristocracy and conservatism and a fierce, uncompromising critic of egalitarianism in all its manifestations: Christianity, liberalism, Marxism, socialism, feminism, multi-culturalism, crass commercialism, a debased popular culture, and the denial of innate and unalterable biological differences between individuals and races, as well as the envious hobbling of the gifted and the sentimental coddling of the mediocre and botched. Thanks to this volume, however, the lost philosopher has been found again, and far from seeming antiquated, his ideas are even more radical, relevant, and challenging in our day than in his own. John V. Day was born in 1961 and educated at the University of Edinburgh and Queen’s University of Belfast, where he received a doctorate in prehistory. He is the author of the highly praised book Indo-European Origins: The Anthropological Evidence (Washington, D.C.: Institute for the Study of Man, 2001) and a number of articles. He is also the creator of a Ludovici website, www.anthonymludovici.com , that makes available many works by and about Ludovici.